Platanna Press is the only South African publishers solely dedicated to bringing you quality books on fly fishing by top local author/flyfishermen. The killer code-named Rooikat was ready to deal. The Colonel was dead and buried and so were the rest of the co-conspirators. The bomb, stolen years before from the secret nuclear facility at Pelindaba, near Pretoria, was waiting to be dug out of its hiding place and the buyers were queuing up. Rooikat was in the clear. Or was he? Ex-police officer, private investigator, Jaco Koekemoer had come home to bury the Colonel, his father, killed in a car accident that didn't make sense. He looked for answers in his father's past and opened a can of worms instead. Follow Koekemoer and his partners in crime fighting, fellow PI Chesney Cook and Police Captain Nathi Mpanza as they try to stop Rooikat and the bomb reaching Somalia and the murderous Al-Qaeda affiliate, Al Shabbab. Do they succeed? Or is the terrorist nightmare we all fear closer than ever? 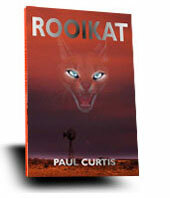 Rooikat is the first in a series that follow the trials and tribulations of Koekemoer and Cook. Author Paul Curtis is currently working on the second title: Feeding Frenzy. Please look out for it towards the end of 2017 online and on this website. A high quality paperback with flaps. Platanna Press announces the launch of Paul Curtis's long-awaited new bibliography and history of African sport fishing, Fishing Wider Margins. It is a book designed to be of great interest not only to serious collectors of angling books and historians but also to anyone who has a passion for fishing Africa's fresh and salt waters. 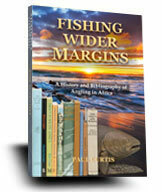 Fishing Wider Margins is stocked by selected angling and book shops. 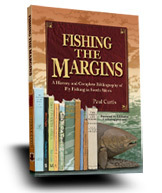 In his previous bibliography, Fishing the Margins (2005), Paul Curtis recorded and reviewed the 82 books that, up to then, had been written on flyfishing in South Africa. Now Fishing Wider Margins not only updates the previous information but greatly expands on it (growing from 176 to well over 500 pages) to include all fishing books written about all types of fishing in all of Africa. Fishing Wider Margins continues the saga of the many, often colourful, characters who have fished and written about fishing in Africa. It examines the history of the sport both in salt and fresh water, and tells the stories of the great fish landed and the men who caught them. While Paul explores the history of African fishing, he doesn't shy away from expressing strong opinions on the problems and challenges facing African anglers at present and in the future. Fishing Wider Margins is a meticulously researched, chronological record of African fishing books, with a section on other collectable African fishing literature and ephemera. It is both an important resource for the serious collector and a fine read for anyone interested in the fishing history of this most bountiful continent. 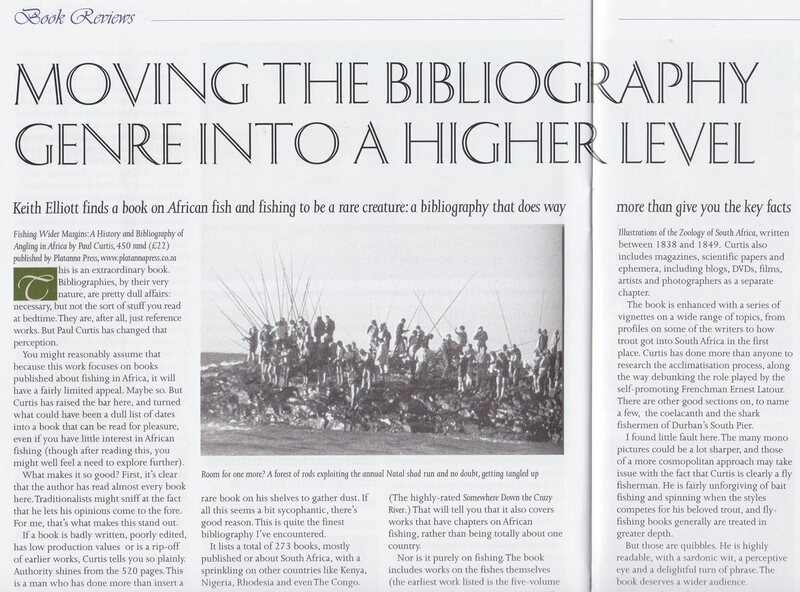 There is a particularly rich and diverse library about the fishing enjoyed by generations of sport fishermen in Africa. Perhaps this is because no other continent comes close to matching the incredible variety or quality of sport enjoyed – from giant sharks, to tuna off the rocks, to the great game fish bonanza of the 'sardine run' of South Africa. From the marlin and sailfish grounds of Kenya and the record tarpon of West Africa, to the introduction and naturalisation of wild mountain trout, to battling indigenous yellow fish, and the tigerfish – the greatest fresh water fighting fish of all. Fishing Wider Margins records and explores (with colour pictures) the books written and the men who wrote them and relates many of the greatest fishing stories ever told. "When the author, a friend and colleague of long standing, approached me to write a foreword to this account of his life as a game ranger at Giant's Castle Game Reserve in the early 1960s, I agreed without a moment's hesitation. The reason for this is simple. Quite apart from the fact that his narrative traces the early adventures, trials and tribulations of a young man about to embark on a career in wildlife conservation, George Hughes has brought to life my own memories of game ranging during those same years when I took up a post at Giant's Castle offered to me by Colonel Jack Vincent, then the Director of the Natal Parks Board. Like the author, I had not the faintest idea of what duties I would have to perform in a part of Natal that I had only once fleetingly visited, and neither had I any real practical experience or formal training in nature conservation. I was a greenhorn in every sense of the word." Click here to read a chapter! 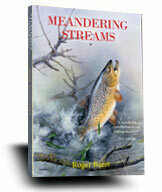 "In Meandering Streams, Roger Baert covers the most eclectic collection of angling subjects you will ever come across, many of the chapters warmly anecdotal, others tactically useful, or solidly based in his wide experience of fly tackle. (Roger is, incidentally, the undisputed father of float tubing in South Africa.) The text will take you from China, to Sweden, to Belgium, to Iran, to Australia, and to other countries besides, hunting trout, bass, grayling, bluegill, eels – you name it. Not least, of course, he covers the 37 years he spent fishing in South Africa. Many chapters are based on the regular fishing column he wrote for the weekend edition of The Natal Witness, but they have been revised and there is much new work I believe will prove to be fresh and exciting reading for any angler, but particularly for those who are fortunate enough to know Roger personally. And given his pivotal role in the lives of so many South African flyfishers, either as a friend or a source of angling wisdom, or an ever-ready giver of advice on tackle or tactic, in its own way this book also becomes an important record of an important slice of flyfishing history in this country. You will find much of that between these lines." Browse around any well-stocked fly fishing store and you'll be confronted with rows and rows of fly trays. Each tray will have a score of individual compartments filled with a variety of floating flies, sinking flies, nymphs and emergers - flies to fish deep, flies for the surface, flies for every depth in between. Flies in five different sizes, in a choice of beaded or unbeaded, some with flashbacks, some without. If you're a beginner or novice flyfisher it can be a little intimidating! Sure-fire tactics for shore fishing success. 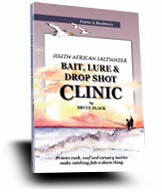 This book is a distillation of a lifetime of fishing lore gained over countless rock and surf fishing excursions by Bruce Black, one of South Africa's most highly regarded all-round anglers. The only time you'll want to put down this book is to pick up a fly rod. Essential reading for the beginner, a refresher course for the already hooked! 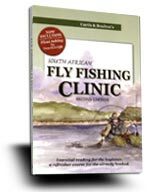 With over 3 000 copies already sold, SA Fly Fishing Clinic, now in its second edition is one of South Africa's best selling fly fishing books ever. 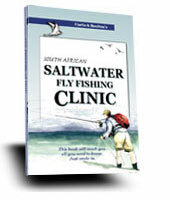 Now with a chapter on Float Tubing by master flyfisherman Tom Sutcliffe, SA Fly Fishing Clinic is better than ever. 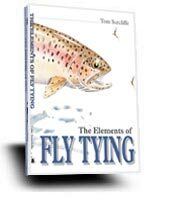 Simple, no nonsense and easy to read and understand it demystifies much about fly fishing and trout fishing in particular. Click here to read a chapter or two! Now fly tying expertise is at your fingertips! 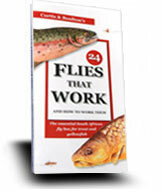 The long awaited South African fly tying 'bible' by master flyfisherman and fly tyer Tom Sutcliffe. The Elements of Fly Tying is a 208 page, large format book for both beginner and expert. Fully illustrated by the author, it has simple, explicit instructions on how to tie a host of proven flies for South African conditions, is packed with suggestions on how to fish each, as well as anecdotes and wisdom about our great sport. This book will teach you all you need to know. Just wade in! If you've never fly fished the salt before this book by Paul Curtis and Jonathan Boulton with additional chapters by experts Anthony Krüger and Sudesh Pursad is a short cut to success and enjoyment. Keeping a log can be more important than the finest tackle, the best flies, lures or bait, or the biggest, best outfitted boat. Record where when, what conditions and species of fish caught and relive your triumphs in years to come. Lodges and outfitters half price for bulk orders over 25! Yellow fever is catching. This book will show you how! 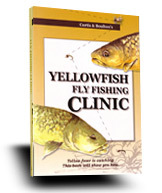 Yellowfish Fly Fishing Clinic has helped, in the short time it's been out, many hundreds of flyfishermen to catch South Africa's premier indigenous freshwater sporting fish. And once you've caught one yourself you'll realise why yellowfish fly fishing is quite possibly the fastest growing branch of fishing in South Africa. Why it's so contagious! This book will show you all the techniques you'll need for success. Written by Paul Curtis, fly fishing enthusiast and manic fly fishing book collector, this book will take you down the highways and byways of South African fly fishing history. A must for any collector or anyone just interested in the books, history and characters who have contributed so much to our sport. 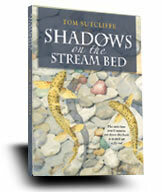 "This book may be the finest bibliography you'll ever read"
Keith Elliot, editor Classic Angling (UK). The great South African Classic reprinted at last! 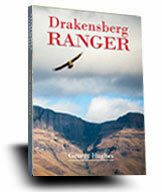 If you only ever own just one book on South African fly fishing let it be this one. A beautifully written description of the halcyon days of, in particular, the rivers of the North-East Cape by one of the most famous pioneers of trout fishing in our country. 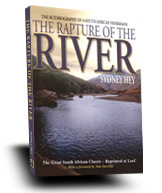 A book that not only records the capture of fish but catches the soul of South African fishing. A must in any library. So easy to order via email!